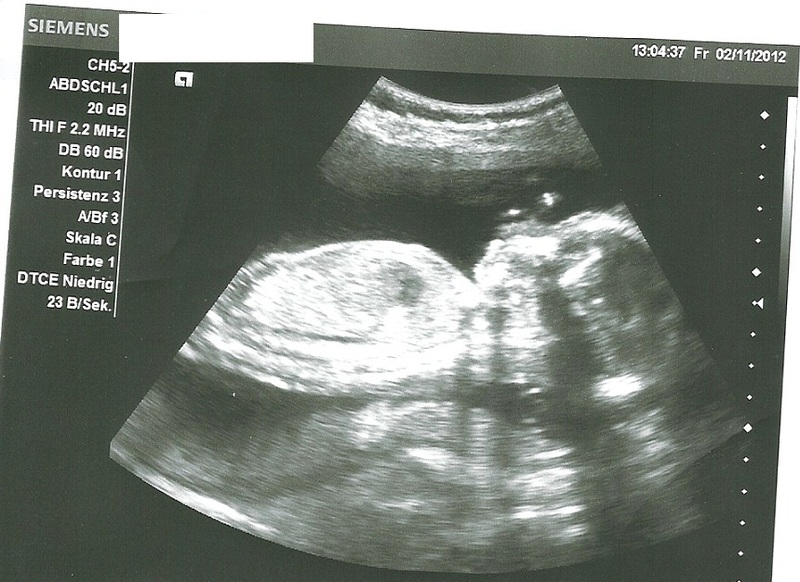 I'm 22 weeks now and a week and a half ago I had my 20 week anatomy scan US. The Dr had been called to do 2 emergency surgeries and was very backed up. Even though he was so backed up I wanted to see this busy peanut and get comfirmation that it's a boy! I waited 2 hours by the way, with a busy 5 yeard old! Everything looked good, still no hematoma seen on the ultrasound and the placenta looks really good. Found out for sure that it is a boy! He looked really good and was measuring well. 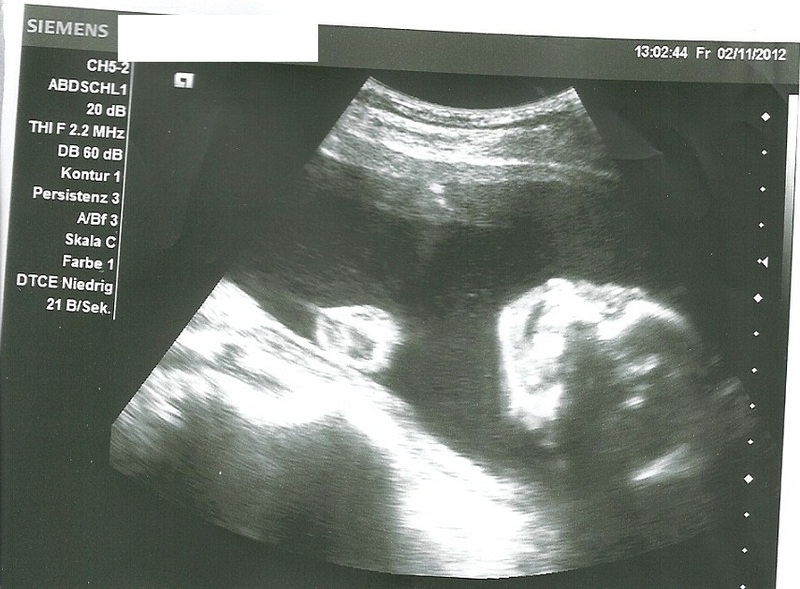 We had a hard time getting a picture of his profile because his face was towards my back and he kept turning away from the ultrasound. It was really an uneventful visit, which is fine by me! I haven't had any bleeding now since about 17 weeks, I have been having braxton hicks, but that is normal. The baby is extremely active and making my belly look crazy with his movement. I really don't have much else to say except that I feel so very blessed to be where I am today. I have started buying baby things, and it seems more realistic now with this big belly.